A guaranteed fun way for the kids to learn Urdu. Our tutors are trained in all the psychological aspects of teaching the kids in the best posisible manner. A place for the Urdu enthusiasts to register themselves for the advance learning sessions. 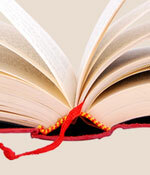 Learn how to read and write Urdu to explore the world of Urdu literature. 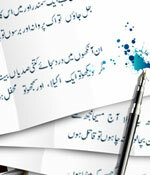 We offer the best Urdu software for your learning sessions and independent usage. It is self-explanatory and user-friendly. So anyone can learn quickly. Quran tutor is providing different quran reading and learning courses for all ages, 24/7, meet our exprt Quran teachers now !! Free three Days Trial !! Experience the blissful world of Urdu poetry. Read meaningful poetry. Learn about the lives and ideologies of great Urdu poets. Explore the gems of Urdu literature. 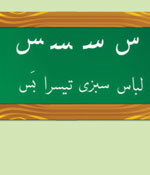 Read online Urdu poetry books and novels. Read reviews on books, translations, and compilations. Urdu learning does not have to be boring or dull! Practice with animated worksheets. Enjoy listening to Urdu songs. 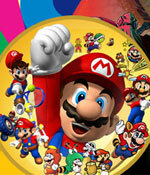 Have fun playing interactive games and more. Learning the Quran recitation online is possible now. We have competent tutors who offer live learning sessions to individuals. 3 days free trial classes. ‘Urdu’- the word has its origin in Turkish language where it stands for “an army”. Initially, old language was an amalgam of Turkish, Arabic and Persian. It was during the reign of Mughals in Sub-continent that Urdu was recognized a separate language. Since then it has evolved as any other language of the world and comprises of a rich history and literature. Presently, it is the National Language of Pakistan and few states of India. Due to the strategic importance of the country, the trend of learning language is increasing. It is also spoken and understood in many countries of Middle, East, Europe and North America. • Qawalies and Naats are very popular all over the world which can be another reason for Urdu learning. "I am of Chinese ethnicity and had to compete with Urdu speaking businessmen to win orders. Learning to understand Urdu from urdureading.com has given my business a major boost." "I am an Italian, born in America. I married a Pakistani guy, three months ago. I did not know a word of Urdu when I registered with urdureading.com. Now I can speak some basic Urdu phrases. I plan to surprise my husband on his birthday. Its going to be so much fun. Thanks urdureading.com." "My PhD thesis on India was in last stages when I decided to learn Urdu for increased credibility. My colleagues told me that learning new language was not possible for someone of my age. But urdureading.com made it possible for me."